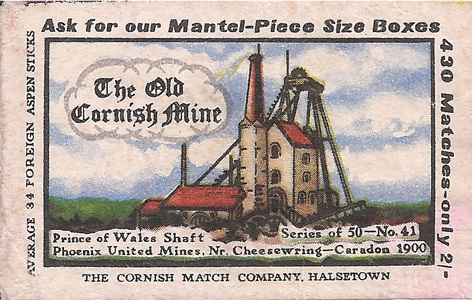 These mines were located at Cheesewring. 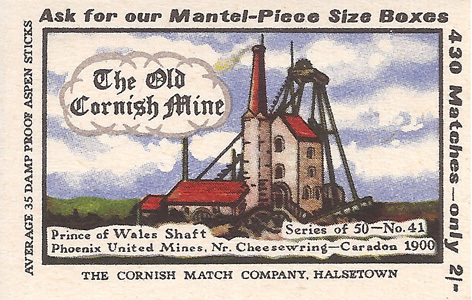 Starting in the early 19th century it closed in 1898 and re-opened in 1907 when the “Prince of Wales” shaft was sunk. 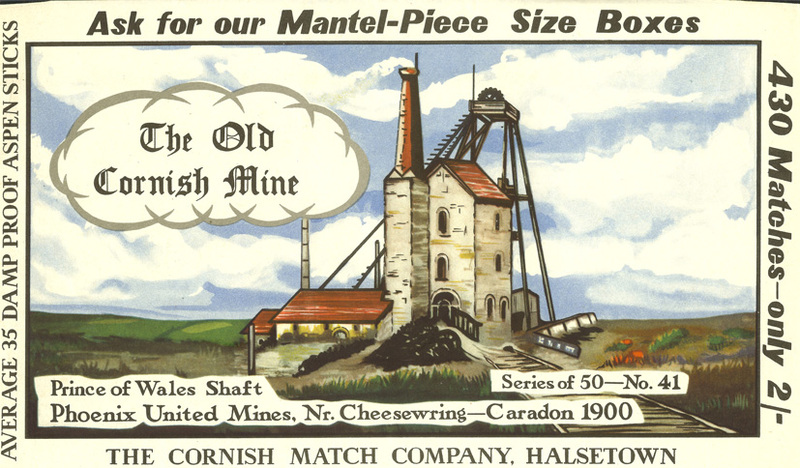 Named after King George V who started the large engine – the last new big pumping engine in the world. 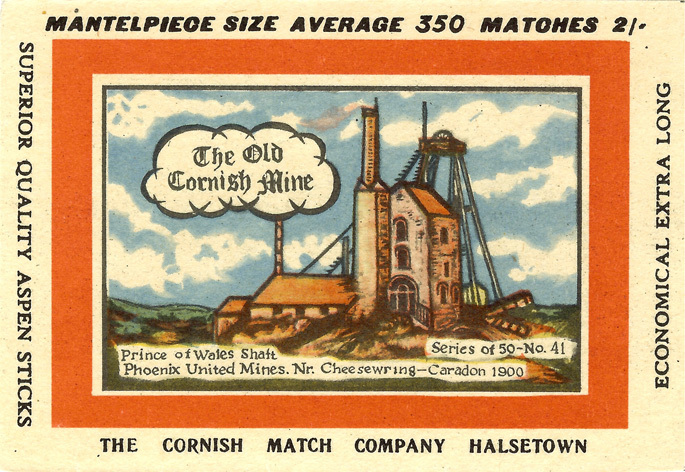 Finally abandoned in 1914. 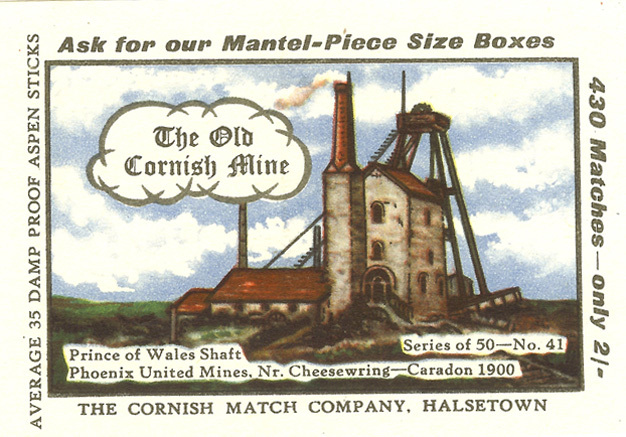 The illustration appeared on 9 known labels. 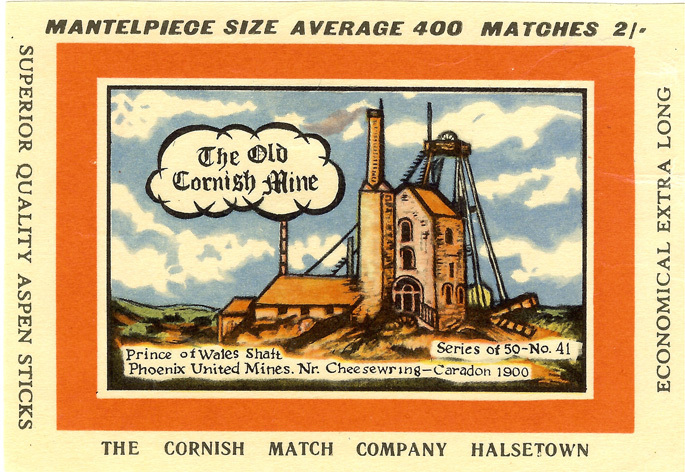 It appeared in 1966 and was the last of the Old Cornish Mine series to be issued. 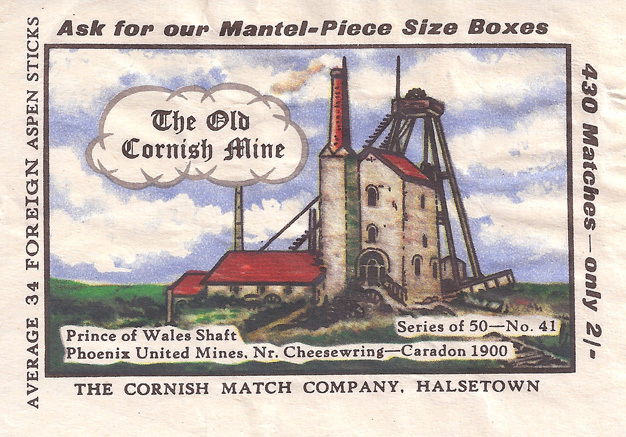 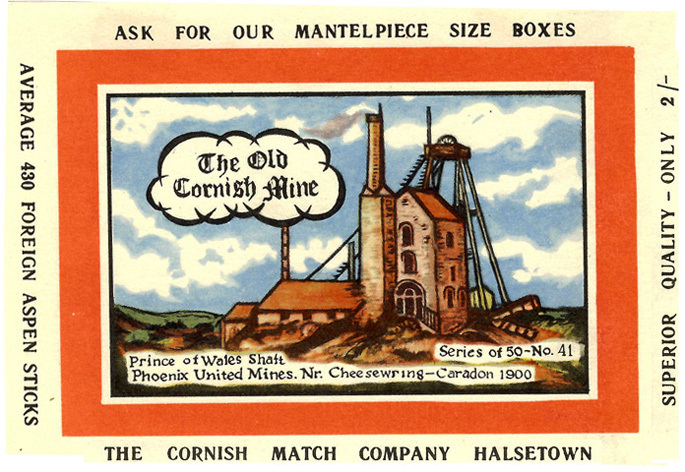 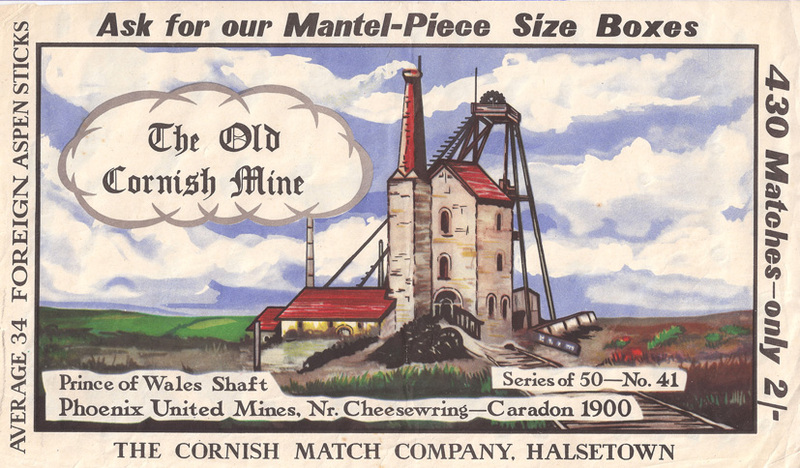 The label has the same number as the previous issue (41a) and is the rarest of all the Old Cornish Mine labels.